It can be hard to keep up with shoe addicts. They're the ones rocking "ugly" sneakers seasons before you even realised they were a thing, and their extensive collections make yours look embarrassingly paltry. It's impossible to second-guess their tastes because they're always one step ahead (figuratively speaking). So what's the best way to surprise the shoe obsessed in your life? Thinking outside the (shoe) box is a good place to start. There are beautiful books devoted to footwear, genius accessories and thoughtful storage solutions, so you don't have to splash out on this season's must-have shoe styles. If your pockets are deep, however, sticking to cult classics leave little room for error, with flats being a wise bet. We've searched high and low for inspired ideas to delight any wannabe Imelda Marcos, so keep scrolling below for our finds. Made from recycled bronze, these are a natty way to liven up sneakers. Does her shoe collection deserve a pretty home? Then get her this. These will bring new meaning to the term "happy feet." If you budget won't stretch to Charlotte Olympia's iconic heels, this is the next best thing. Ridiculously elegant shoes that won't break the bank. Three hundred images; five chapters on shoes… That should entertain the lucky giftee. A little personalisation goes a long way. Simmons's Hermione flats are a timeless must-have, and rendered in leopard, they're just divine. Many shoe accessories are naff, but these are works of crystal-embellished art. Limited to a run of just 75, this print will take up far less space than another shoebox. Hiking boots are on trend and wonderfully practical. As stocking fillers go, this one is incredibly useful. The back of these sneakers can be personalised—genius. If flats are her thing, she'll enjoy poring over this beautifully illustrated book. …but she'd equally love to receive these. Everybody needs a set of these on standby. If only SJP made shoes… Oh, wait—these are her design and totally on point. More of a bag lady? 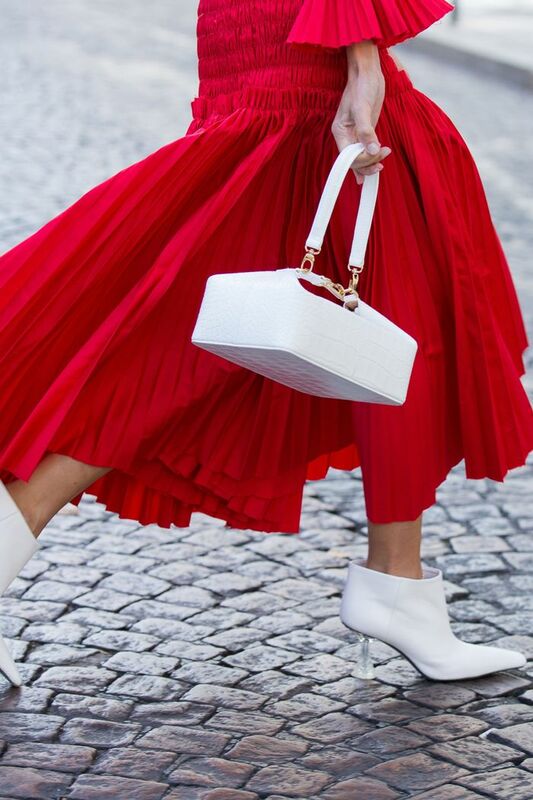 We've rounded up the most important designer bags of the year.